The use of the Train to Paris’ website implies full acceptance of the following terms and conditions. 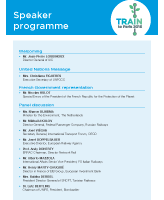 All trademarks and logos displayed on the website www.traintoparis.org are the property of the International Union of Railways and protected by the intellectual property laws applied in France. They may not be used or copied in any way without prior and express permission from the International Union of Railways, which reserves the right to prosecute any act infringing its intellectual property rights. The International Union of Railways provides links to third-party and external websites, for which it disclaims any responsibility. The insertion of these links does not in any way imply the approval of or an existing partnership with any of these sites. In no event shall the International Union of Railways be held liable for the referencing of these sites on its website. The insertion, on external sites, of hyper links to the Train to Paris’ website is subject to prior and express permission from the International Union of Railways. It is the responsibility of all Internet users consulting the Train to Paris’ website to avoid infecting the site with viruses of any description. The International Union of Railways assumes no liability for any direct or indirect damages arising from access to or use of the site www.traintoparis.org or the information contained on it. Personal information obtained via the discussion forum on the Train to Paris’ website may not be used for purposes other than to contribute to the proposed discussion topics. 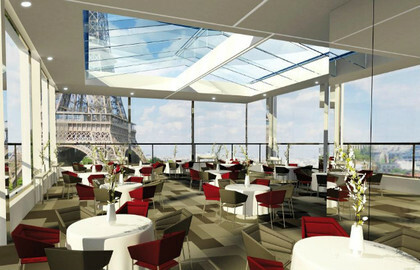 The Train to Paris’ website has been created and edited in compliance with the laws applied in France. In accessing this website, Internet users resident outside France shall ensure that they are in compliance with the locally-applicable legislation relating to the use and content of this website. The Train to Paris assumes no liability whatsoever for any direct or indirect damages arising from the use, access or inability to access the Train to Paris’ website. Neither shall the Train to Paris be held liable for the risks related to the completeness, accuracy, suitability or topicality of the information. The site www.traintoparis.org is hosted on the International Union of Railways’ server hardware. What is the Paris climate change summit (COP21)? What is climate change? What does "COP21" stand for? Which countries are taking part in the climate change summit, and how many people will be there? What does the Summit hope to achieve? 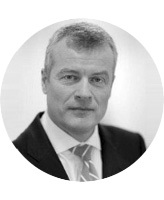 What progress have we seen on global agreement so far? Why is transportation important in regards to addressing climate change? 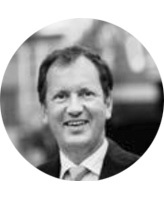 How can rail transport make a difference? How are the railways involved with climate change? What is UIC? How can I calculate my CO2 emissions? What is "Train to Paris"? Can I board on one of the Trains to Paris? Is "Train to Paris" the only initiative organizing trains to reach Paris for COP21? How do I keep updated about the progress of the campaign? 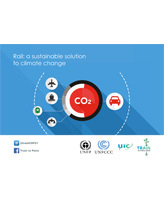 How can I support the "Train to Paris" and the development of low carbon sustainable transport? What is the Paris climate change summit (COP21)? 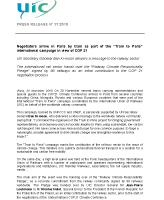 From November 30 to December 11, 2015 high level representatives including Ministers and State Leaders will meet in Paris for the United Nations Climate Conference COP21. The talks are the latest in an annual series of UN meetings that trace their origins to the 1992 Earth Summit in Rio, which aimed at coordinating international action against climate change. Climate change is a long-term significant change in weather patterns, including an increase in average temperature and more frequent occurrence of extreme weather events. This is happening due to a large increase in Green House Gas (GHG)-emissions from human activity. These gasses accumulate in the atmosphere, which forms a protective layer around the earth (including different types of air and gasses) and provides a climate that makes it possible for people, animals and plants to live. What does "COP21" stand for? "COP21" is the official name of the Paris climate change summit — the 21st Conference of the Parties (COP) under the United Nations Framework Convention on Climate Change (UNFCCC). The COP is the highest body of the UNFCCC and consists of Ministers who meet once a year to discuss developments in the Convention. Which countries are taking part in the climate change summit, and how many people will be there? 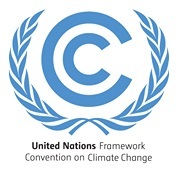 196 countries have signed the United Nations Climate Change Convention. 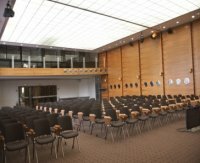 More than 40’000 Officials, Diplomats, Advisers and journalists are expected to attend COP21, joined by Ministers together with Heads of State and Governments. What progress have we seen on global agreement so far? In 1992, Governments met in Rio de Janeiro and forged the United Nations Framework Convention on Climate Change. That agreement, still in force, bound governments to take action to avoid dangerous climate change, but did not specify detailed actions. Over the following five years, governments wrangled over what each should do, and what should be the role of developed countries versus emerging economies. Those years of argument produced the 1997 Kyoto protocol requiring cuts in emissions of about 5% by 2012 compared to 1990. Each developed country was allotted a target on emissions reductions. However no targets were set for emerging economies such as China, South Korea and Mexico and there was no limits for international aviation or maritime shipping. Further, the protocol was not ratified by the United States of America. The Copenhagen climate talks in 2009 were meant to deliver a new legally binding, global deal to replace the Kyoto protocol. Instead, they resulted in a "political agreement" called the Copenhagen Accord. The accord "recognised" the need for countries to tackle climate change, and set the deadline to review existing agreements by the end of 2015. Why is transportation important in regards to addressing climate change? Transport alone is causing about one quarter of the global CO2-emissions, and the projections made by international bodies for see a tremendous increase in emissions over the coming decades, particularly in China, India, Russia and other emerging economies. It is not possible to achieve the "climate change 2 degrees scenario" without action to reduce transport emissions. How can rail transport make a difference? Rail is one of the most energy efficient transport modes and thus provides transportation that causes fewer emissions than other transport modes. Travelling by rail is on average 3-10 times less CO2 intensive compared with road or air transport. Rail transport is responsible for 9% of global transport activity but generates just 3% of transport GHG emissions. However, the rail sector is not resting at its laurels and is working hard to further improve its performance in terms of both energy efficiency and reduced GHG emissions. 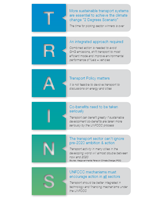 In order to tackle climate change and reduce transport emissions it is necessary to "shift" people and goods from road and air transport to rail. Even if road vehicles improve their environmental performance, the projected growth for cars, vans and trucks in the world is so high that a serious modal shift to rail is necessary in order to achieve the climate change 2 degrees scenario. How are the railways involved with climate change? UIC, the International Union of Railways, grouping together 240 in the 5 continents and representing the railway sector at the worldwide level, is dedicated to promote rail and develop more sustainable transport systems as part of the solution to climate change. UIC, together with its Members, is daily working to further improve the environmental and sustainability performance of the rail sector, including mitigation and adaptation to tackle the cause and the effects of climate change. Mitigation actions are concerned with reducing emissions or preventing the causes of climate change. This includes increasing energy efficiency and reducing reliance on carbon intensive technology. 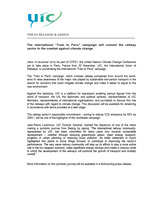 Adaptation includes taking action to cope with the impacts of climate change. For railways this includes making the railway system more resilient to extreme weather events - to operate and survive in a more challenging environment. Adaptation involves actions that can be taken immediately. Read more about UIC’s work on this under Adapting to climate change. UIC is the International Railway Association. UIC mission is to promote rail transport at world level and meet the challenges of mobility and sustainable development. How can I calculate my CO2 emissions? Go to www.ecopassenger.com to check the emissions of your travel! EcoPassenger is a user-friendly internet tool to compare the energy consumption, CO2- and exhaust atmospheric emissions for planes, cars and trains (and trucks) in Europe. 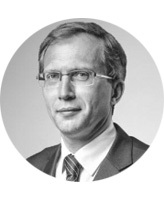 With "the best possible way" we mean the most fair and comprehensive way. 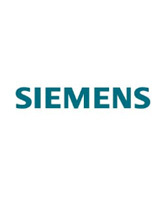 The methodology behind the calculations are sound scientific, focusing on a life cycle approach to the energy involved, and approved by the European Environment Agency. What is "Train to Paris"? The "Train to Paris" campaign, involving railways from around the world, will include a synchronised network of trains arriving in Paris from across Asia and Europe, with some trains originating from Mongolia, Russia & China. The aim of the campaign is to raise awareness of the important role of sustainable transport, and low carbon rail transport, in the solution to both climate change mitigation and adaptation. Can I board on one of the Trains to Paris? The special Trains to Paris event trains can be boarded by invitation only. However we encourage all participants to COP21 to carefully consider their carbon footprint and make low carbon transport choices. 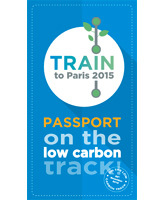 Is "Train to Paris" the only initiative organizing trains to reach Paris for COP21? No, the Climate Express is also organizing trains to reach Paris. http://climate-express.be/en/. This initiative is not organized or coordinated by UIC. How do I keep updated about the progress of the campaign? 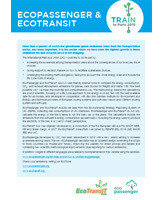 How can I support the "Train to Paris" and the development of low carbon sustainable transport? Visit our website traintoparis.org, follow us on Twitter @trainCOP21 or on Instagram @traintocop21 and Like the Train to Paris on Facebook to receive all the info about Train to Paris. 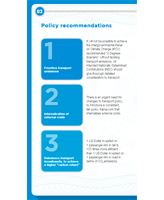 You can support the development of low carbon transport through your personal transport choices and engaging with transport policy processes. 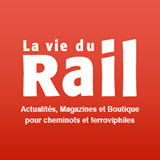 All trademarks and logos displayed on the website www.traintoparis.org are the property of the International Union of Railways (UIC) and protected by the intellectual property laws applied in France. They may not be used or copied in any way without prior and express permission from the International Union of Railways (UIC), which reserves the right to prosecute any act infringing its intellectual property rights. The Train to Paris provides links to third-party and external websites, for which it disclaims any responsibility. The insertion of these links does not in any way imply the approval of or an existing partnership with any of these sites. In no event shall the Train to Paris be held liable for the referencing of these sites on its website. The insertion, on external sites, of hyper links to the Train to Paris’ website is subject to prior and express permission from the Train to Paris. 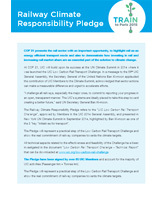 The Train to Paris assumes no liability for any direct or indirect damages arising from access to or use of the site www.traintoparis.org or the information contained on it. Users have the right to access, change, correct or remove any of their personal information (as provided for by Article 34 of the French Data Protection Law of 6 January 1978). 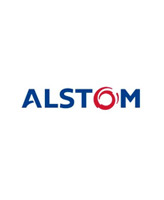 Users may ask for their comments on the discussion forum to be removed at any time by sending a message to webmaster at traintoparis.org or by writing to UIC – Legal Department, 16 rue Jean Rey, 75015 Paris. The site www.traintoparis.org is hosted on the UIC’ server hardware. To get involved please register. 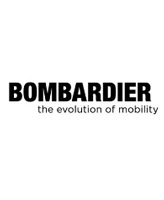 We promise to keep you updated as the project progresses and inform you of the latest opportunities to travel to Paris by low carbon sustainable transport.